Reagan’s first Leadership Forum gathered student leaders who were nominated to bring their concerns to the table on Thursday, February 15. School safety and respect revealed themselves to be the top priorities of the student body. Though ideal, with limited space and time, the whole school could not be included, sparking the search for student leaders. Teachers, club organizers, sports coaches, etc. were encouraged to nominate a participating student to represent their unique perspective in the school. Tragic events, particularly the school shooting in Parkland, Florida, have reminded students of the significance safety has during school hours, sparking conversation on the subject at the forum. The subject of morning security took over, revealing that students of all grades and groups are equally concerned. The common consensus is that students entering the building after 7:20 a.m. may go straight to class without a bag check or metal scan, while the small population that arrive early shuffle through the security line. Students also expressed premeditated opinions on respect and communication, or lack thereof. One junior said, “The lack of respect for students is a big problem, and can be pretty easily fixed. There’s a big lack of communication, which leads to a lot of misunderstandings and degradation of students.” According to this individual, a barrier has been built between students and faculty. Holtgrieve hoped to address this issue with the forum itself. “I didn’t want this to be staff talking to students, I wanted this to be very student-centered.” Students, as planned, utilized the majority of the discussion time. Two committees were created after the Leadership Forum commenced, bringing ideas into action. The ‘School Safety’ committee and ‘Respect/Communication’ committee are currently in the process of developing ideas for solutions. Step by step, student’s concerns are being addressed. Reagan’s first Leadership Forum has created a positive attitude change amongst the students, showing that observable change in the right direction is a possibility; however, some change may be more difficult. Participation in the forum, though great, showed some of Reagan’s more deeply rooted social issues: racial inequality. Dillman said, “I am always cognizant of the fact that we need to have more black students become leaders. In order for African American students to feel comfortable in this school, they need to feel represented. We need heroes, we need role models. This is a huge and on-going issue.” He went on later to say that he could count the number of black students present at the forum on his left hand. Perhaps the third problem the forum brought to attention was suddenly apparent rather than a topic of conversation. The U.S.A Team is making headlines across the world for its incredible progress this year at the 2018 Winter Olympics hosted in Pyeongchang, South Korea. The Winter Olympics started on February 9th with a buzzing opening ceremony gathering huge crowds of people. The games includes a wide variety of challenges and stamina from sports like snowboarding, curling, skiing, ski jumping, and many more sports that need an extraordinary amount of skill. This year two women have captured the heart of America with their astounding skill and ability to succeed in such a competitive field like the Winter Olympics. Their names are Mirai Nagasu who is a figure skater and snowboarding halfpipe Chloe Kim. On February 12th, Nagasu, 24 years old, became the first American woman at the Winter Olympics to accomplish a triple axel. As for Kim, at only 17 years old, became the youngest woman to win gold for women’s snowboard halfpipe. The magnificent accomplishment that both Nagasu and Kim achieved is a story of strength and resilience. Mirai Nagasu is a rising U.S.A star after completing the notorious Triple Axel last Monday’s team competition at the Winter Olympics. Before the historic landing, Nagasu told reporters at the news conference in relations to her performance that, “Maybe I’ll fall; maybe I’ll land it but right, now my mind-set is I’m gonna nail it. And I believe.” Later that week, she would become the only American women to accomplish a triple axel at the Olympics. Nagasu was an unexpected figure skating star because she competed once in the 2010 Games and then was left out of the 2014 team. During the time that she was cut off the team, Nagasu didn’t give up and continued to figure skate. To pay for the expensive figure skating lessons, Nagasu had to work as a Colorado Avalanche ice girl cleaning snow on the ice rink during the 2015-2016 season. On the same news conference, she was asked if she ever thought about giving up when she didn’t make it as far as she wanted during the 2010 and 2014 winter games. She replied, “I’m not a fade-away type of person; I don’t have that type of personality. To look at Shaun White, Lindsey Vonn just continue on, Olympic-cycle after Olympic-cycle — that’s why they’re famous. And Michael Phelps, as well — so many Olympics. That’s so many years.” Nagasu took home a bronze and also took the hearts of many people who admire her determination and resilience. She would continue on with the winter olympics hoping to win bigger and complete another triple axel by the end of the 2018 Winter Olympics. Why is landing a Triple Axel so Important? Landing a triple axel goes beyond the human body-literally. The triple axel is a forward facing jump that involves speed. It’s almost like breaking physics and many professionals calling it nearly impossible to perfect it. It takes great courage and master ability to land a Triple Axel which makes it so important and spectacular to watch. Chloe Kim made history at the 2018 winter Olympics at just 17 years old becoming the youngest person to ever win a gold medal for the women’s snowboarding halfpipe. What is the snowboarding halfpipe? The rigorous sport is snowboarding on a semi-circular ditch on a mountain slope creating a ramp made out snow. Snowboarders can jump and move along the walls that range from 8 feet to 23 feet. Kim's snowboarding career began when she was a four year old when her father introduced the sport to her. Kim first began practice in her hometown of California where she did training in the snowy mountains. Her first competition was when she was only 6 years old. In 2013, Kim started her journey as a professional snowboarder when she made it on the U.S.A snowboarding team. Although she was too young to attend the 2014 Winter Olympics at the time, Kim continued on with Winter X games winning gold. In 2016, she competed at the Winter Youth Olympics games in which she was honored to hold the U.S.A team flag. Her many accomplishments are only the beginning. In the same year, Kim was nominated for Breakthrough Athlete by the ESPYS Awards. When asked about who pushed her to do her best at such an early age she said that her father was a big part of it. Her father immigrated from South Korea to the United States in 1982 with little less than $900 on him. Because he had little money with him, he had to worked his way to pay for his daughter’s snowboarding training. While still being a teenager, Kim set her mind on attending the Winter Olympics. Her dream became a reality when she made it into the 2018 Winter Olympics. Her passion and her strength of character made her an Olympic winner and a rising star to watch. For students to get their IB Diploma there are many requirements to meet. This includes completing a CAS project. Students must complete minimum of 30 hours that involve Creativity, Activity, and Service. To do this students make their own projects to complete the hours. According to a survey given during ACP to Full IB diploma students, there is a big variety of projects you can do such as teaching others or yourself, or volunteering at the school or in the community. Student’s might not understand why CAS projects are important to IB and how it can be beneficial for you. CAS project creates a opening for self-motivation and working with peers. 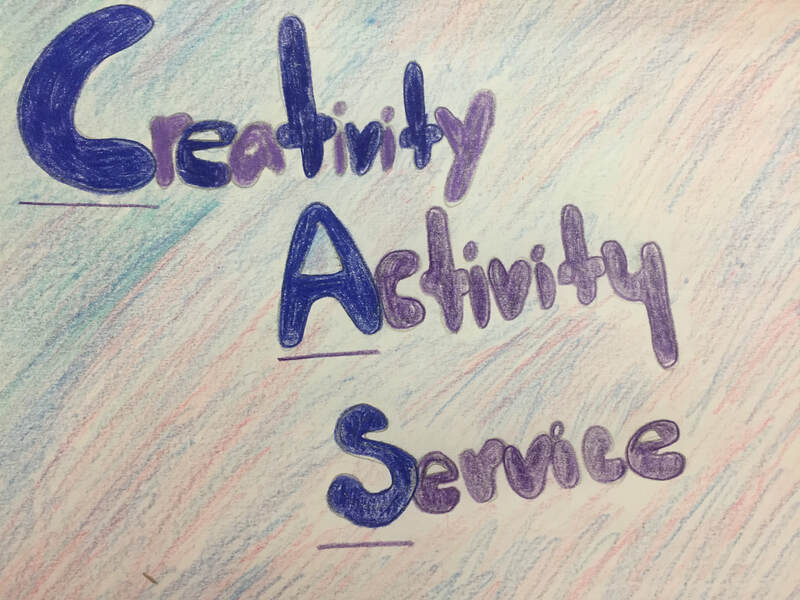 CAS includes three parts creativity, activity, and service. Creativity is the creative thinking and art part. Activity is the physical contribution to your work. Service is that during your project, you are contributing or volunteering without getting paid that students can gain skills from. The main point of your CAS project is that it should be both challenging and something that interests you. This includes experiencing new activities or hobbies you never did before. Students are able to decide what to do for their own CAS projects. This is for students to have the opportunity to do what they enjoy. If the district were to force a certain project, students wouldn’t be interested and won’t put effort toward completing the hours. Students are able to come together and come up with an idea to complete the CAS hours. For example a group of students are doing a book drive. Other students are creating a website. In the survey, two people are doing a blog and website on LGBT to spread awareness and support. Another student is doing a dance project where they are teaching others different types of dance. Not only is the CAS project required, but students end up learning a new activity or skill during it. As a result of the CAS project, based on their project they have learned a new skill or gained a new interest. According to the survey, students learned different perspectives on social issues and how to manage a blog. They also learned organizational and self-management skills. Student’s CAS project should represent Creativity, Activity, and Service. For the website on LGBT, it’s creative for the design of the web, activity for interviewing people, and service for helping and spreading awareness. For the dance project, creativity for lesson plans or choreography, activity for teaching people how to dance, and service for helping people learn how to dance. Although students might learn during the project, students personal opinion on the project will be different. Based on the survey, many junior and senior Full IB Diploma students think it’s a waste of time, especially because of all the other requirements for a Full IB Diploma. This requirements include a 4,000 word extended essay, taking six IB exams (three Higher Level and three Standard Level), and taking the TOK class (Theory of Knowledge). The Reagan seniors in HL Theatre II recently performed their Solo Performances on March 1, after a long time of preparation. Unless you are a student in this theatre class, the work and preparation needed to complete this project is a little mysterious. After talking to Anna Rassmussen, a student who participated in the Solo Performances, I was able to learn the what goes into the performances and how it impacts the students who participate in it. First things first. What are the IB Solo Performances? The performances are individual skits that the HL Theatre II students write and perform. Anna went a little more in depth when describing them saying they are a, “Four to eight minute long performance done based off a theatre practitioner that we studied our junior year.” She also told me that the performer has to be the only person on stage and all props used have to be self made. After hearing about what they are, I was left wondering what effect the performances had on the students’. Anna told me that this has helped her become more reflective of her past and has helped her to focus on the present and future. In general, they are meant to help the students grow as a person and make them better IB learners. An example of a performance is Anna’s. Anna did her performance on the struggle of coping with the suicide of someone’s best friend. Although they already passed, there will be a chance to watch them next year. In general, the IB Solo Performances are a chance for students to express themselves and grow as a person. Everyone should have the chance to be inspired like our Theatre students do here at Reagan. After asking fellow sophomore Stephanie Alvarez how she feels about the ACT, she sardonically said, “I am excited for the ACT.” Her greatest fear, like most students, is that a lower ACT score will affect her life in the future. She and I agree that the act of answering so many questions in so little time is the most difficult part of the test. After seeing the juniors on the day after they took they ACT Workkeys, a second portion of the ACT assessing the hard and soft skills instead academic skills, the atmosphere of the entire school changed. It is mutually agreed by most juniors that after taking the test, they were all hit with a wave relief. Bradley also said the ACT wasn’t a hard test, since she was prepared for it, (due to College Prep Wednesday). 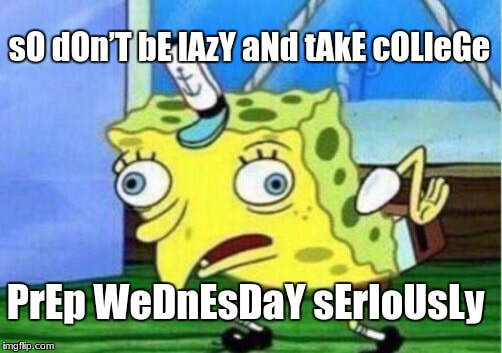 The one advice was constant among most upperclassmen was that underclassmen should take College Prep Wednesday seriously.